passive solar design - Growing edible plant communities and forest gardens - Using no-till and natural farming methods - Creating microclimates for extended growing seasons - Raising livestock with ecological foraging techniques This is a common-sense approach to sustainable living that createsa self-sufficient and low-effort home for the people that live there,whether in the city or the country. The Ultimate Guide to Permacultureisn’t a philosophy book, or a dissertation on theory. 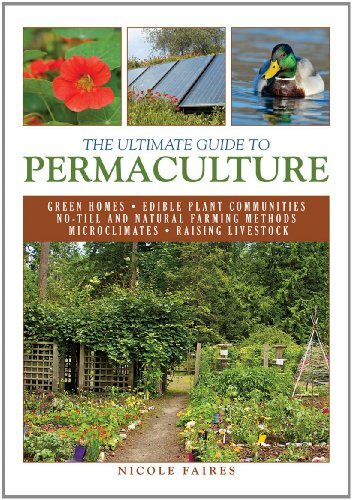 It is astepbystep, complete guide to every aspect of permaculture.